No matter the kind of traveler of you are, you will find something to do in Timisoara. Here are our favourite things to do in Timisoara. Finding the perfect outdoor activities for your stay in Timisoara may be quite a hassle if you rely just on a search on Google. 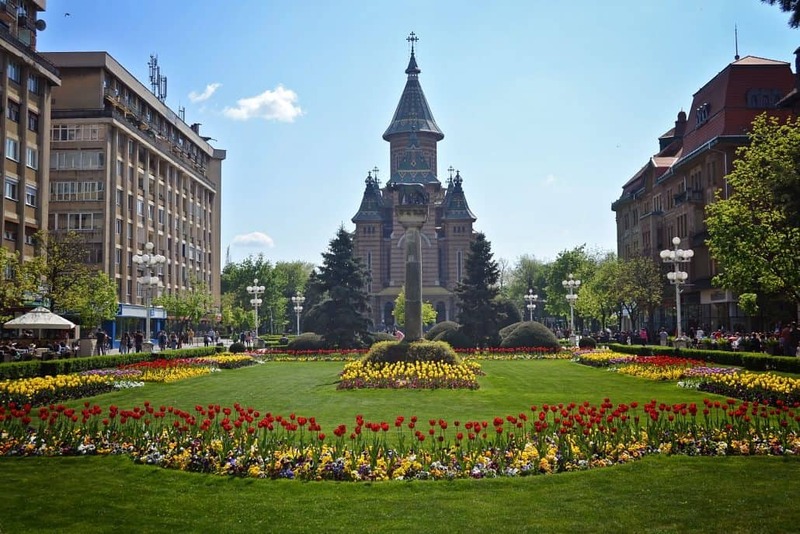 To help you out, we have searched for the lesser-known things you can do in Timisoara. And we’ve already tried them out! Paragliding flights, acro flights with a jet plane or aerial tours…pick your choice. Whatever you choose, we can assure you each of them are totally worth it, especially if you are visiting Timisoara for a few days. Although this won’t take place in the city, a paragliding flight is definitely something you should take off your bucket list. Did we mention that the paragliding flights are one of the main attractions for travelers on Trip Advisor? 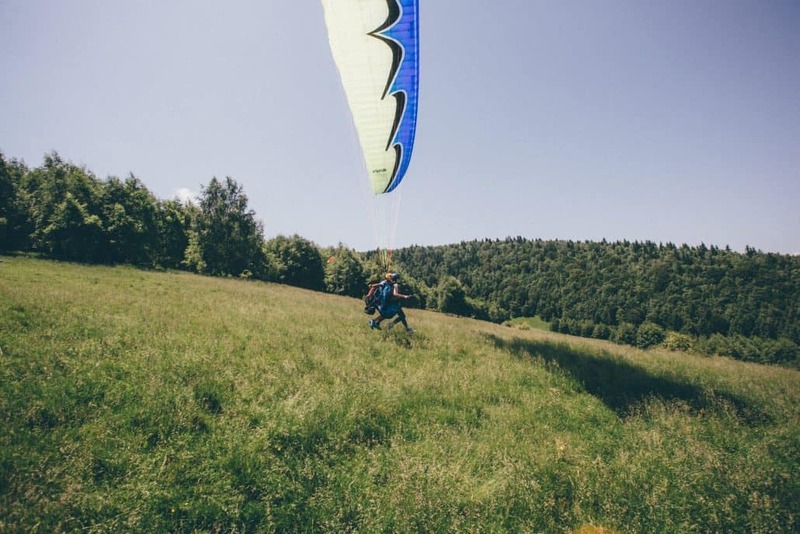 The paragliding flights take place in Clopotiva, a small village just two hours away from Timisoara, at the base of the Retezat Mountains.A tandem paragliding flight means that you will fly together with a professional pilot. You, together with the instructor, will take off from an altitude of about 1000 meters. The instructor will do the flying, while you will only have to enjoy the view and the experience. A paragliding flight lasts for about 30 minutes, depending on the weather conditions and yes, the photos and videos are included in the price. The best thing is that the flights take place just 5 minutes away from Timisoara you can even get there with an Uber. Please note, the plane has only two places: for the passenger and for the pilot. In case you want to live this experience with your friends, don’t worry, you can take turns. Timisoara is a beautiful city, but it’s even more beautiful from above. One of the alternatives of visiting the city on foot, is to see the city from above. You will get to fly with a Dynamic VT-9 plane and do a full round above Timisoara. The trip is specially created for the people who just want to enjoy the scenery. The flights takes about 30 minutes, enough to take dozens of photos and also enjoy Timisoara from a different “point of view”. If you are planning to visit Romania, most importantly Timisoara, you probably need a list of things to see and do. 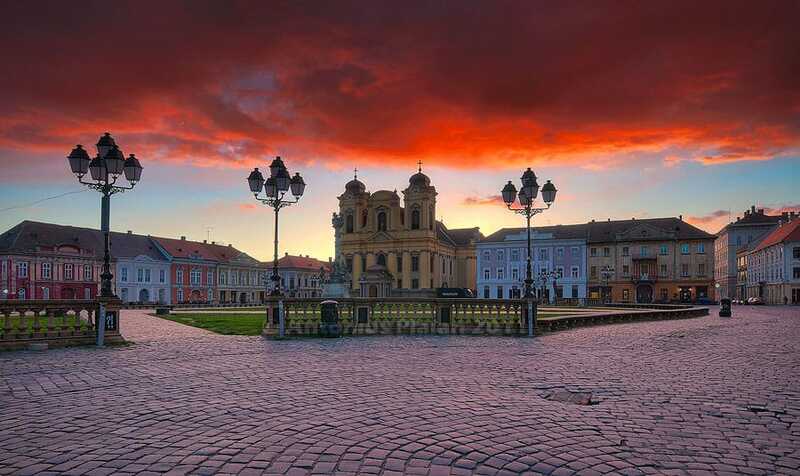 Timisoara is a big city, located in Western Romania,which has a history that dates back to the 14th century. And of course it a has lot of beautiful spots, good food and plenty of entertainment for everyone. But what are the spots you should see even if you’re in town just for a few days or in case you’re on a budget? The Union Square is the oldest square in Timisoara. It’s name dates back to 1919, after the first World War, as this is where the Romanian troupes stopped after entering the city. However, the square dates back to the late 18th century, after the city was taken back from the Ottomans by Austro-Hungarian forces. Before that, the city still had the shape of a citadel. The Union Square has a very baroque look to it, some of the most important buildings surrounding it are: the Roman-Catholic Dome, the Serbian-Orthodox Church, the beautiful House Brück and the Baroque Palace. But all of the other buildings are quite beautiful and they all have interesting stories to share. What else can you do in the Union Square? You can stop for a cup of coffee or some lunch, as this is a very active part of the city. In the summertime, the place is full of lively terraces, as this is one of the locals’ favorite spots to hang out. You can also pay a visit to the Art Museum, hosted in the beautiful Baroque Palace – if you are into art and architecture, this will be worth the visit. The Victory Square is flanked by two of the most emblematic buildings in Timisoara: The Opera House (which also hosts the National Theatre, German state theatre and Hungarian State Theatre) in the north and the Orthodox Cathedral in the south. This is a great place to go for a stroll, just like the locals do. It dates back to the early 20th century, when it was designed to replace the former citadel walls. It was actually designed as a art nouveau “promenade” place and people still spend their time walking along the “corso” (the right side, starting from the Opera House, where the aristocracy used to walk) and the “surogat” (in the past, reserved for the workers to walk). As for things to do, this is the heart of the Timisoara and it is full of terraces, cafes and shops. Victory Square also hosts the city’s holiday markets – like the Christmas market and the Easter market. If you’re visiting during holiday season, you’ll probably find souvenirs and local food there. This museum in Timisoara is an often overlooked attraction, probably because it is quite distant from the city center, but a place worth a visit. 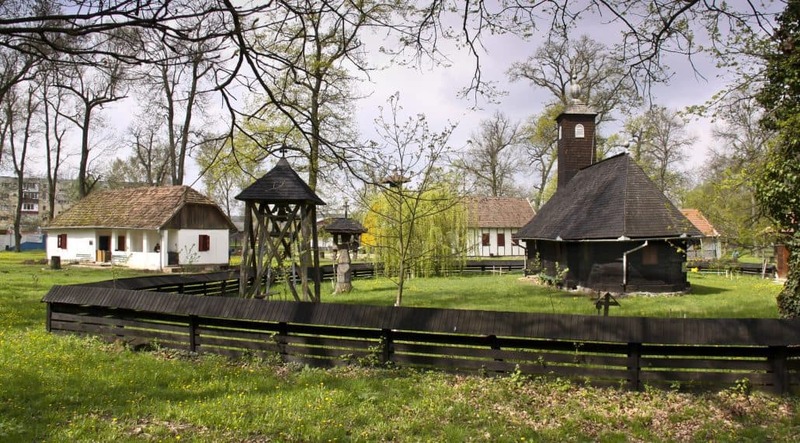 The Village Museum reflects the beauty of an traditional Romanian village, displaying houses typical of various regions in Banat. In addition to the houses, the Village Museum has its own church, mill, and even vegetable gardens, that are looked after by the museum’s employees. The place is even more beautiful as it is located within a forest, right in the outskirts of Timisoara. The place is ideal for a long walk in nature, as it will allow you to get a breath of fresh air without actually leaving the city. While you’re there, we recommend that you ask for a guide, especially if you want to learn more about village life in Banat and traditions. The Village Museum also hosts a series of markets and festivals – from a “harvest” market to music festivals, so you might also get a chance to visit it during an event. The Timisoara zoo may not be as impressive as other European zoos, but it is worth a day’s visit, especially if you are in Timisoara with your kids. The zoo is pretty well taken care of – the animals have plenty of place and look taken care of. The zoo is right next to the Village Museum, at the outskirts of the city, so you could actually visit both during the same day. It has also been incorporated into the “Green Forest” (Padurea Verde), so it has a lot of natural vegetation. If you are looking to spend a day out in nature, without actually leaving the city, the Village Museum and the zoo are the perfect destinations. You can do this either by walking or by biking. This is the perfect way to relax on a warm sunny day. The banks of the Bega are bike-friendly, as the bike lanes run through almost all of the city’s lenght. 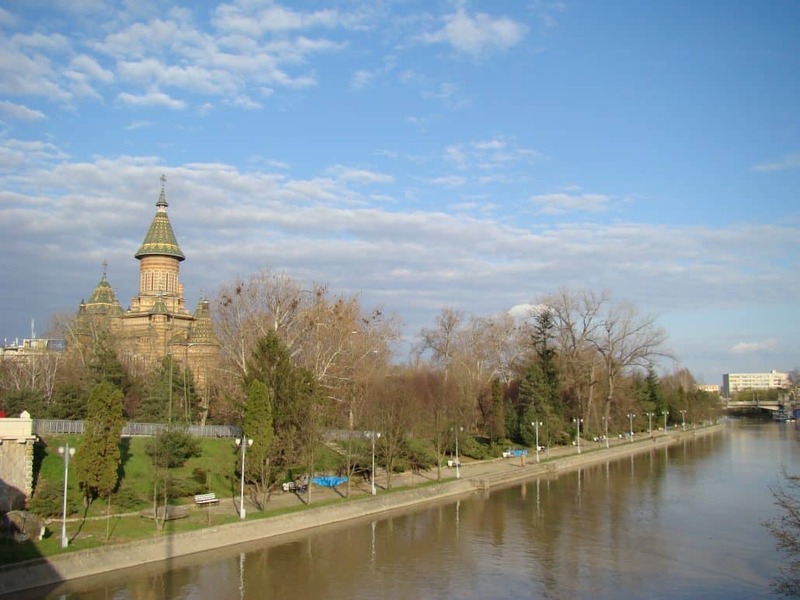 The Bega river also passes through plenty of Timisoara’s parks, so you can take the chance to enjoy The Rose Park (Parcul Rozelor), The Children’s Park (Parcul Copiilor) or Alpinet Park – which is said to be the prettiest in Timisoara. In the summertime, you can also stop to enjoy a cold beer or a lemonade on one of the many terraces on the river bank: D’Arc, La Capite, Koloro, Vineri 15, Porto Arte etc. For many locals, going to these places is a nice way of enjoying a bit of nature in the summer – you may notice that they are quite popular, especially in the evenings.